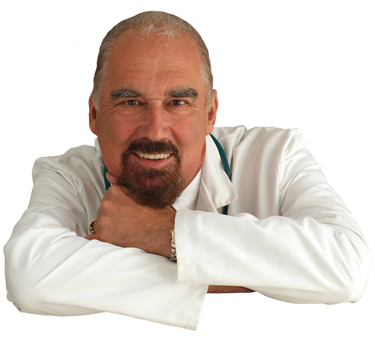 The inventor of Floww Health Technology® is 'radiation biologist' Jim Wagenaar. A pioneer in the field of radiation biology, Jim had been analysing the impact of natural and technical radiation on humans, animals and nature through private research since 1969. In the 90’s, he realised that the increased use of wireless networks, mobile phones and PCs was irreversible and that electromagnetic radiation would only further increase in the future. This inspired him to work on a method by which radiation could be converted into body natural frequencies. Frequencies which he discovered experimentally during his years of extensive field research. In 2003 Jim met Marc Schechtl, who at that time lived in a tent in the dunes of The Hague with his wife. Marc, a former tax lawyer at Loyens & Loeff and university lecturer, had moved to the dunes because he could hardly function in the 'real world', due to a sensitivity to radiation and an accumulation of physical problems. He became one of the 250 people with a high sensitivity to radiation that Jim tested and was given a prototype of what is now the personalFloww®. Marc’s sensitivity to radiation made ​​him very susceptible to the positive effects of the tiny device, which was essentially a type of transformer. And after years of physical complaints, this was a breakthrough: he finally began to recover. Marc was very enthusiastic about the operation of the device, and from the belief that radiation is a problem for many people around the world and the ambition to share Jim's unique solution with these people, he suggested to Jim that they join forces to further develop the later Floww products. In July 2007, this resulted in the founding of Floww International. And today, Floww products are sold in Europe, Asia, North America and Australia.